The Preview Resolution command allows you to quickly get a preview at three-quarter, half, one-third, or one-quarter of the scene resolution. You can even customize the preview resolution size. If you selected the Custom option, the Custom Preview Resolution dialog box opens. 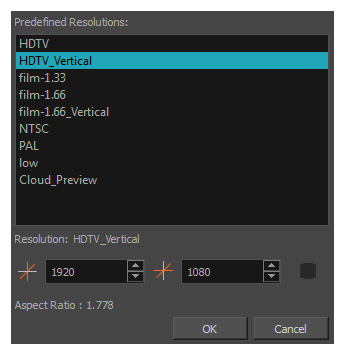 In the dialog box, select a resolution from the presets or type a new X-Y value.